Listen up coffee lovers and caffeine junkies: do you know what’s in your cup? Do you know where the beans came from? 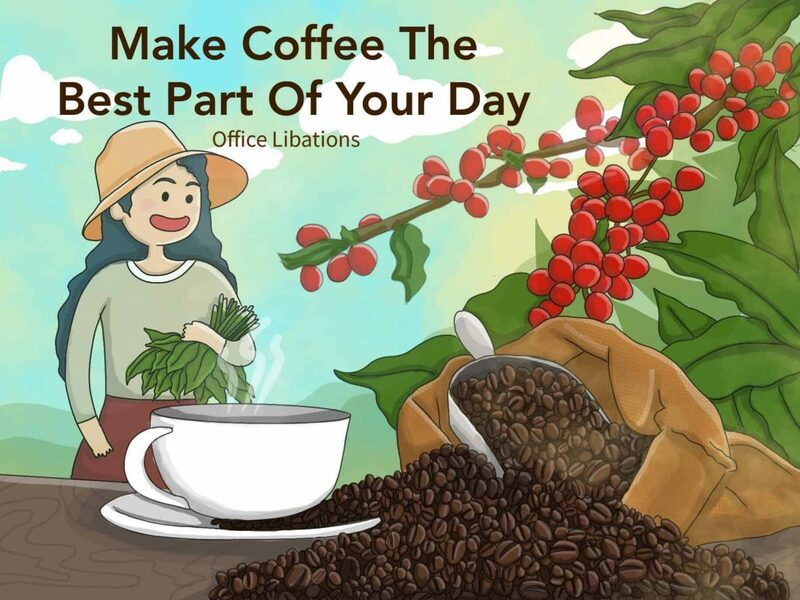 Here’s a better question: what’s one thing you do know about your cup of coffee other than it came from Starbucks? If you’re one of those who likes to grab-and-go, then perhaps it’s time to put more thought into what your downing day after day. Or, if you find yourself on the twentieth page of the google search results with unanswered questions, don’t worry. We’re going to try and break through some of the clutter for you all. Why the Controversy over Coffee? It may seem like researchers keep flipping back and forth when it comes to coffee health. From this tricky situation, questions may arise. Is coffee in fact good for you? Is it bad? Will it kill me one day? Is it the elixir of life that will solve all my problems? Here is the best way that we can put it: coffee is good for some and not so good for others. It’s a delicate matter of personal factors that change the effect this beverage may have on a person. Let’s use pregnancy as an example factor. Is it OK to drink coffee while pregnant? Yes, but keep the caffeine to a minimum. Pregnant women should drink no more than 200 milligrams of caffeine per day Studies show that the risk of miscarriages and low birth weight increases otherwise. Want to know more about why coffee has a laxative effect? Well, you and the rest of the world. One study shows that coffee only affected 29 percent of participants aged 17–29 when it came to bowel movements. It’s believed that the acidity of coffee can trigger more acidity in our stomachs. This acidity then causes our stomachs to dump its contents into the intestines quicker. Another observation shows that coffee triggers the release of certain hormones. Said hormones then prompt the large intestine to take action. So if you don’t like making more than 3 trips to the bathroom within the hour, think twice about the effect coffee has on you. What if pregnancy doesn’t apply to you and the frequency of bathroom trips doesn’t phase you? Then coffee may be the perfect drink for you. It can raise your energy levels, boost metabolism, fuel performance, and give you the essential nutrients you body craves. 1. Coffee is not linked to any serious health risks. People who drank up to six cups of coffee per day are at no higher risk than those who don’t drink it. 2. If you experience trouble sleeping, tremors or stress, you might be drinking too much coffee. 3. Moderate coffee consumption can decrease the risk of type 2 diabetes, Parkinson’s disease, and liver cancer. 4. Those who are have trouble controlling their blood pressure or sugar levels should not drink coffee or switch to decaf. Suffice to say, more research needs to happen if we want to establish coffee as a major health supplement. For now coffee is a step above doing nothing and can improve your well-being if paired with other healthy lifestyle choices. Coffee contains something called cafestol which can trigger the release of LDL cholesterol. When you brew coffee through a filter, this stuff gets left behind and no longer becomes a problem. So if cholesterol concerns you then it’s best to always filter your coffee when you brew it. If you drink coffee in the evening and find that you have trouble sleeping, then your coffee might be to blame. Sure, caffeine levels in coffee can give you a boost of energy when you need it. However, unless you’re pulling an all-night routine, go for decaf or just skip it all together. There are ingredients you can add to your drink that will either make it taste better or make it better for you. Some will add antioxidants, others essential nutrients, or boost well being in general. Coffee is like wine. Beans are unique to their region and also reflect where they are grown. Climate, altitude, soil, etc. will impact the bean but so can the roast. Coffee plants grown in South or Central America tend to produce beans exhibiting light sweetness. They can also produce a bean exhibiting something with a heavier body or mellow flavors. These flavors can range from chocolate to peanuts to caramel or toffee. It’s likely that most people will find a coffee they like from these regions. If fruit flavors and floral scents are more to your liking then African coffee is the way to go. These beans tend to express a hint of berry and wine like aromas. If you like a stronger kick to your coffee then try beans from India or Indonesian regions. These beans are sure to give you a stronger finish and are heavy in body. Flavors range from earthy to syrupy to savory. OK, so you have a general direction on where to go in terms of coffee taste, but keep in mind the roast types and freshness of your beans as well. As with most foods, the fresher it is the better it is and the same goes for coffee. We’ll start this off by saying that you always, always, always want to buy whole beans as opposed to grinds. This is because whole beans are less susceptible to degassing. In other words, whole beans are less susceptible to air damage than grinds are. Grinds are more susceptible to air damage since there is more surface area for air exposure. This is why we recommend buying whole beans and investing in a quality grinder. What you’ll get when using pre-ground coffee is a dull cup with bland flavors. When properly stored, it’s recommended to use your beans within 3 weeks of the roast date. Consider buying new beans after that. Consider what kind of roast you like and what roast brings out your favorite flavors. A coffee roast can range from light, medium, medium, medium-dark, to dark. Lighter roasts will give you milder flavors and vice versa. Darker roasts will get you richer flavors with a heavier body and some bitterness. Here’s the million dollar question though: Arabica or Robusta? Arabica beans are often linked to having a wider range of flavors whereas Robusta beans not so much. Robusta beans are linked to an oatmeal flavor and smell like peanuts before roasting. Nothing beats that first cup of coffee in the morning right? What if you knew you were drinking a cup of coffee that was ethically sourced, wouldn’t that feel even better? The term ‘organic’ is not synonymous with ‘better’, as some people tend to think. In this case though, we can say that it would be a better choice to buy organic. Organic is not only good for the environment, it’s good for your coffee too. This is especially true if your concerned about the amounts of residual pesticides in your coffee beans. Coffee plants are some of the most heavily sprayed crops out there. While the US regulates usage of some pesticides, other coffee growing countries do not. This can pose a health risk for workers in other countries if they are not well informed. They may not be aware of proper handling methods or the severity of pesticide usage. And get this, only about 30 to 40 percent of pesticides actually reach its intended target. The rest of the time these pesticides impact the surrounding soil, water and biodiversity. If there’s one thing to look for when buying coffee, it’s the USDA Organic label. This prevents the use of synthetic fertilizers and pesticides. Buying Fairtrade coffee means supporting small coffee farmers across the globe. This ensures that small scale coffee farmers will get the best price for their coffee. To meet this certification, a coffee farm must meet standards. This includes offering workers a wage no lower than the minimum, optimal working conditions, and fair prices. To boast this seal means a coffee farm must have grown coffee organically in a bird friendly habitat. It’s meant to protect the biodiversity of the surrounding area. While the standards for this seal are not as ironclad as those for Bird Friendly Habitat, it still helps to see it on the package. Coffee farms that meet this seal aim to improve social, economic, and environmental factors of growing coffee. There’s more to coffee than most people think. You got different bean types, different ways to brew, different flavors, nuances, and trends. There are ways to prolong the beneficial effects and ways to make it better than it already is. At the end of the day though, coffee is coffee. It could be as simple or as difficult as you make it.